Association football, or soccer, is the world’s most popular sport. Although the game has been played in New Zealand for more than a century, international success has been elusive. 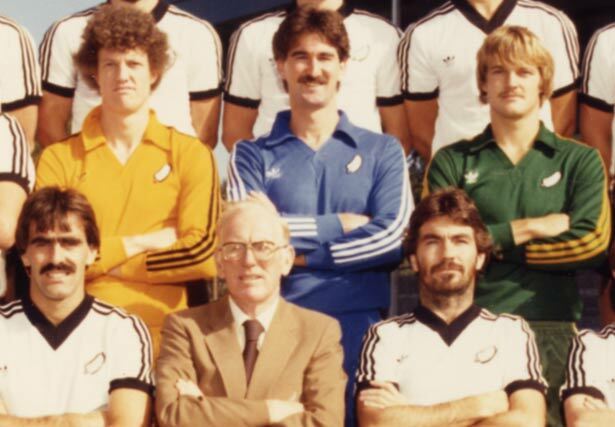 But in 1982 football seized the country’s imagination, when the national side – known as the All Whites – took on the best at the World Cup finals in Spain. To get there, the New Zealanders had to battle through an epic qualifying schedule of 15 games at venues stretching halfway across the world. After sweeping aside Indonesia, Taiwan, Fiji and arch-rival Australia, New Zealand clashed with China, Kuwait and Saudi Arabia for a spot in the finals. Even then, the All Whites had to win a sudden-death play off to ensure qualification. Next stop was Spain, where the team faced the might of Scotland, the Soviet Union and Brazil. The 1981-82 campaign was the only time New Zealand had reached football's World Cup finals – until 14 November 2009, when the All Whites beat Bahrain to qualify for the 2010 tournament in South Africa. In their opening match at the 2010 finals the All Whites grabbed a late equaliser to draw 1-1 with Slovakia, earning New Zealand its first ever point at the World Cup. A few days later this result was bettered as New Zealand held off Italy, the defending world champions, to earn another 1-1 draw. A 0-0 draw with Paraguay in its final pool match was not enough for New Zealand to qualify for the second round of the competition. It was enough to see the All Whites finish third in their group - ahead of Italy - and leave South Africa undefeated. We have 1 event in history, 4 biographies, 5 articles, related to 1982 Football World Cup.